If you are in the state of Florida and need a good resource on planning your dream wedding, we recommend The Florida Bride’s Blog. 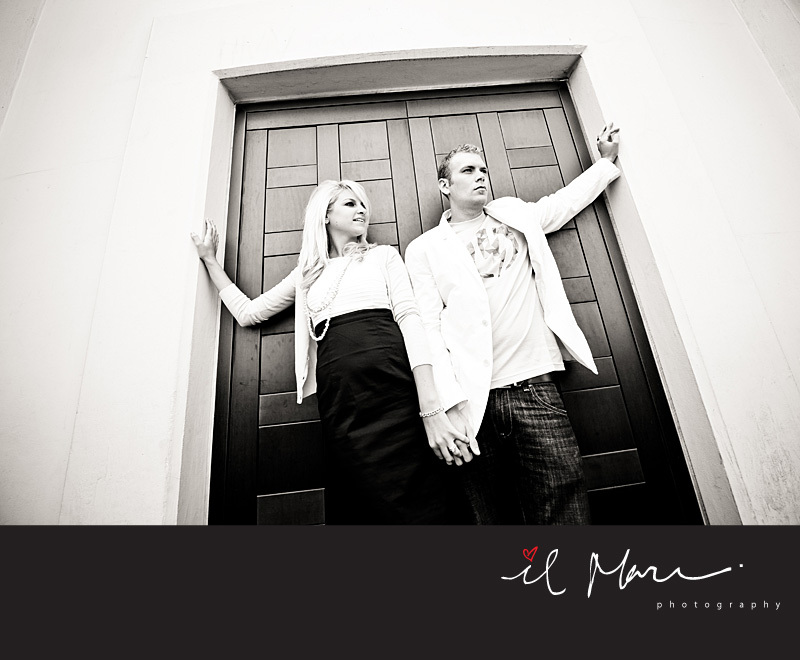 We had the chance to meet with the person who is in charge of The Florida Bride’s Blog. Her name is Danielle. 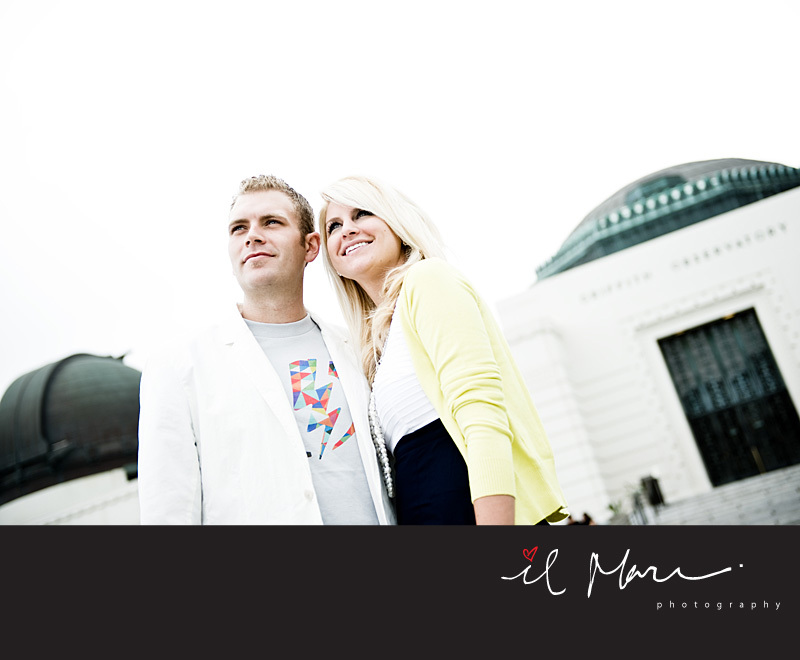 Danielle and Jay were visiting Los Angeles, and since Jay spent some time in L.A. growing up, Danielle thought that it would be nice to have their engagement session shot right here in Los Angeles. 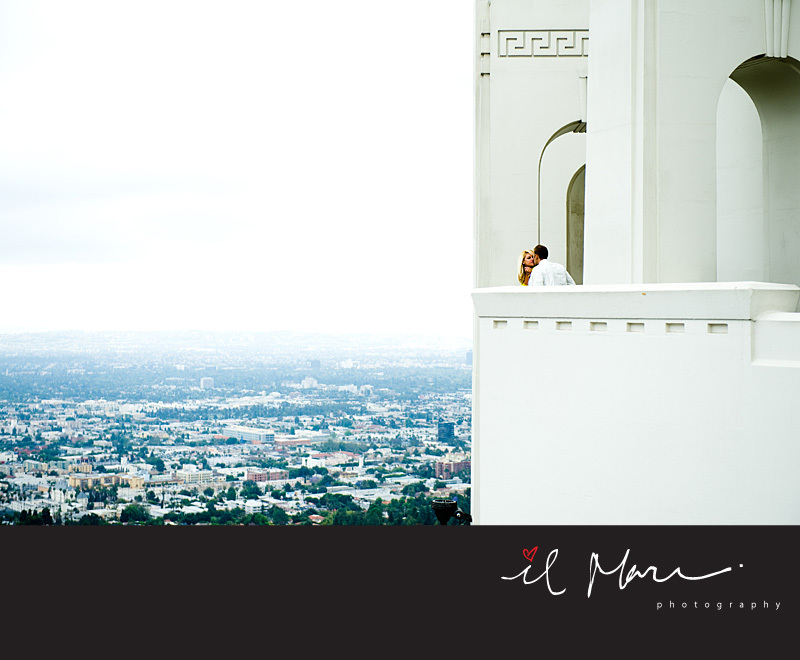 Danielle asked us if we would recommend a location for the shoot, and we immediately picked the Griffith Observatory. Unfortunately the infamous L.A. June Gloom was in full effect so we had to do with a very overcast day. To make matters worse, we picked the Griffith Observatory on a day it was hosting field trips from multiple schools. We noticed many school buses parked by the entrance when we got there, and after we were shooting for about an hour, all the school buses had pulled into the parking lot, and the observatory was overrun by kids. We only had an hour to work with under a very uncooperative weather pattern, but we still had fun and we got some great shots. *7.22 UPDATE: Thanks to Danielle for her design of our new blog background!